The Weeknd attends the “Rei Kawakubo/Comme des Garcons: Art Of The In-Between” Costume Institute Gala at Metropolitan Museum of Art on May 1, 2017 in New York City. *What is going on with The Weeknd? MTV had included the singer among its list of performers set for the Video Music Awards, but he was nowhere to be found during Sunday night’s telecast. A rep for the Weeknd had no comment when contacted, and MTV has yet to explain his absence, according to Variety. 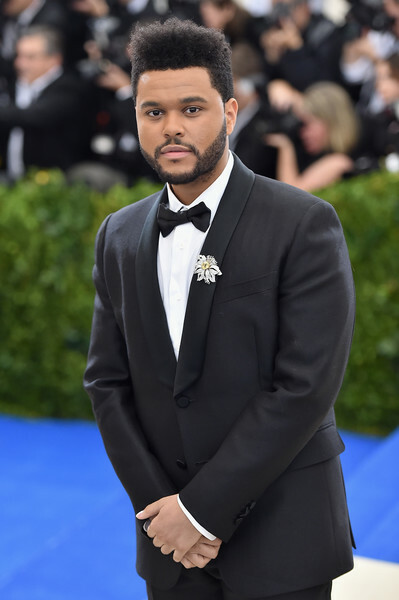 The Weeknd was on the list of names announced on Aug. 7, along with host Katy Perry, Miley Cyrus, Ed Sheeran, Fifth Harmony, Lorde, Thirty Seconds to Mars, and Shawn Mendes. His no-show comes just days after he abruptly pulled the plug on a private concert two hours before it was set to begin on Friday, reports Variety. Organizers said the show was canceled due to “unforeseen production issues” — however, sources told the outlet that the proper permits were not secured. The Weeknd was nominated for five awards at the VMAs, including artist of the year and video of the year for “Reminder.” It would have been his second time performing at the VMAs; he last took the stage in 2015.